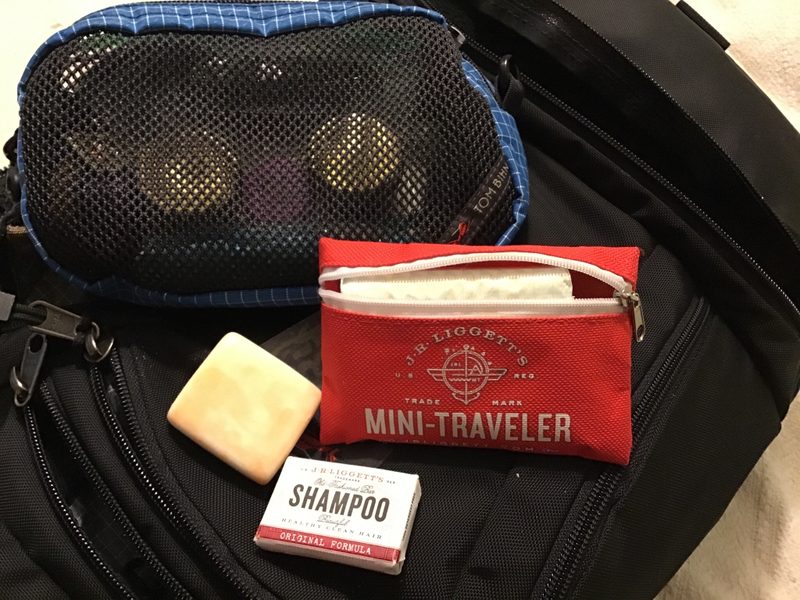 I have tried a couple things for containing a bar of Dr Bronner's bar soap in my travel backpack. Plastic holder was bulky and didn't locked close too well. Wrapping in a dry wash cloth works, but inconvenient and uncontained in pack. Cutting the bar down to fit a GoTubb wasted soap and was different than normal form so felt different using it and thus didn't like it. So I look to a organizer pouch solution. Why not use a beeswax wrap to wrap and put in the OP? The warmth of your fingers can make the wrap's folded ends "stick" together. I've been considering a small cloth bag like https://osmiaorganics.com/products/soap-travel-bag but I haven't fully decided yet. Sometimes hubs uses a plastic bag. He dries the bar first, like you would with an OP, and pops it into a zip lock or fold-top sandwich bag. I think he leaves it open while we're at our destination and only closes it in-transit. It works better than I expected. anything that doesn't let water out (which seems like a necessary condtion) is by definition trapping it in. 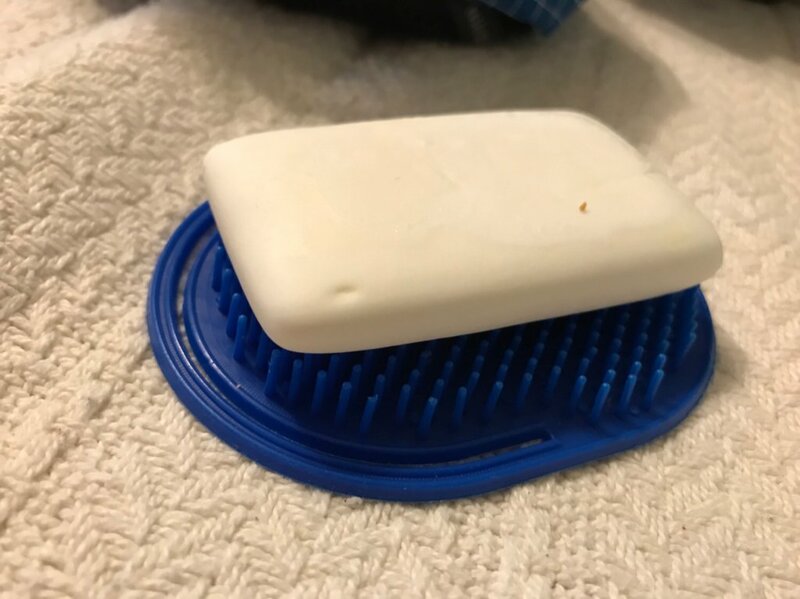 The flatpak soap bar case is just what I was looking for- simple, water resistant, appears durable, slightly overbuilt. I am going to buy one to try out. I will report back if I remember. Beeswax wrap. I have not ever had the product, I will have to check the grocery co-op store the next time I go. I have used the Dr Bronner original packaging successfully now for 4-5 times. It is defiantly breaking down, but achieves the objective for now. Ziplock bag - I think it is cheap solution that can work. I worry about soap scum build-up and washing is an short term option. It will break at some point and murphy's law says it will happen at worst time. The other issue is I haven't bought or have plastic bags for a couple years as I use glass or stainless containers. I will probably give that flatpack case a try. 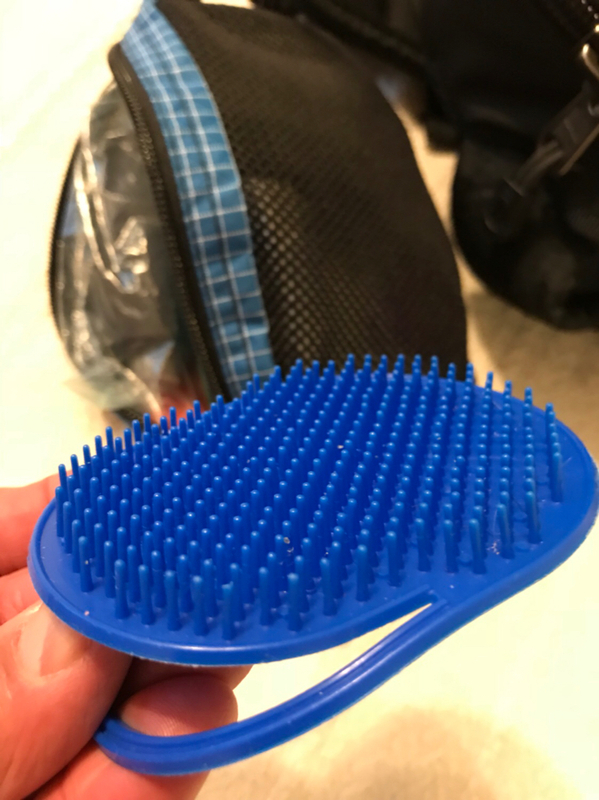 I keep a flat plastic hair brush in my toilet kit, 3D mesh, I rarely use it in my hair but every day to dry my soap. FWIW, it's definitely going to break at some point. But, I always have three or four extra baggies in my bag. They're just super handy in a huge number of situations. I haven't seen one of those in years. Where can I get one? I found kits at Daiso that have tiny soap dishes in them. Perfect for the travel JR Liggets soaps.